What is Arithmemouse Times Tables? 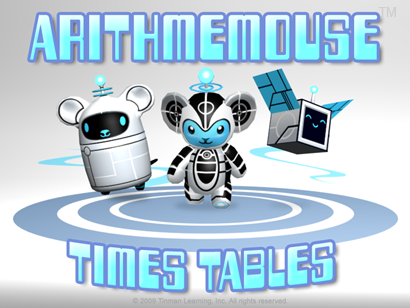 Arithmemouse Times Tables is a multiplication game that facilitates teaching children multiplication facts. Arithmemouse Times Tables can run on Windows XP, Vista, Windows 7, 8, and 10 machines. Not just a drill. Focuses on learning first and testing second. Life meters and punishment for failure are both absent. Learning multiplication facts helps give children the confidence that can then be used to master other academic challenges. What is The Arithmemouse Addition Subtraction Game? The Arithmemouse Addition Subtraction Game is a game that helps to improve addition and subtraction math skills with tutorials and exciting timed drills. It is for Windows only. Download the Full Free Version Now! The Arithmemouse Addition Subtraction Game helps children hone their addition and subtraction skills in an exciting 3D environment. 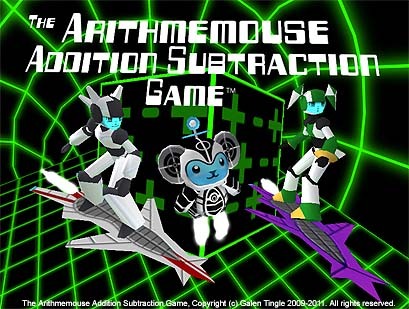 Educators: You may install the Arithmemouse Addition Subtraction Game on all computers within a school without charge. 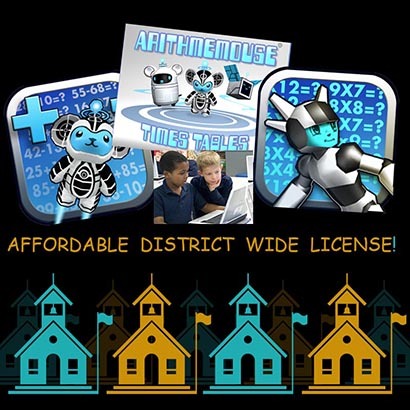 Please support Tinman Learning with a purchase of a Arithmemouse Times Tables site license. Early learning = future success. © 2009-2019 Tinman Learning / Galen Tingle All rights reserved.